Join us on August 15, 2019, for a Continuing Legal Education (CLE) class on gun safety. In Philadelphia, gun violence is an epidemic. Last year, in addition to the 249 Philadelphians killed in shootings, over 1,100 people were shot and survived, leaving many with lifelong disabilities and ongoing medical costs. 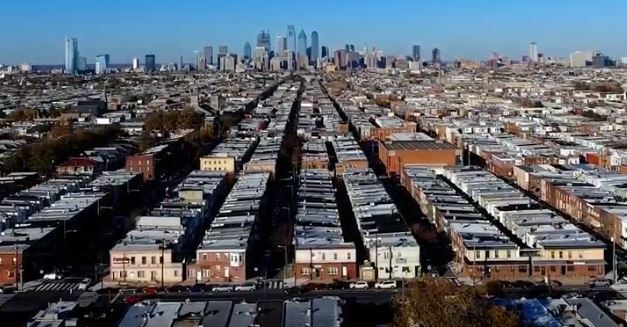 This violence does not affect everyone in the city equally: nearly 85 percent of shooting victims last year were black, and gun violence is the leading cause of death for black men and youth in Philadelphia between the ages of 15 and 34. Time: Registration from 4:00 to 4:15 p.m.; Panel Discussion begins at 4:15 p.m.; Reception from 5:30 to 6:30 p.m.
Space is limited. First come, first served. The Fair Market Value of each individual ticket purchased is $25. Thank you to our presenting sponsor: Magna Legal Services. This year, the Public Interest Law Center is looking back on 50 years of fighting for justice, and preparing for 50 more. To celebrate this milestone, we are hosting a series of events throughout the year highlighting our history, our work today, and our plans for the future.We focus on “securing access to fundamental resources and services.” These resources and services are the foundations people need to build their lives: a voice at the ballot box, safe housing, healthy neighborhoods, quality education, and freedom from discrimination.